Yesterday lunchtime, the rain stopped, the sun shone and the sky became a clear blue. It was time for a walk. 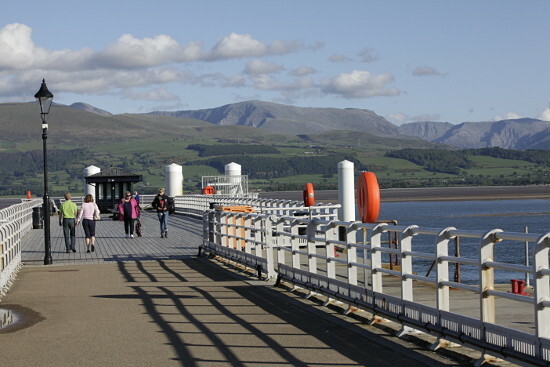 We’d do the Anglesey Coastal Path to Beaumaris. Our land is bordered by the coast path. 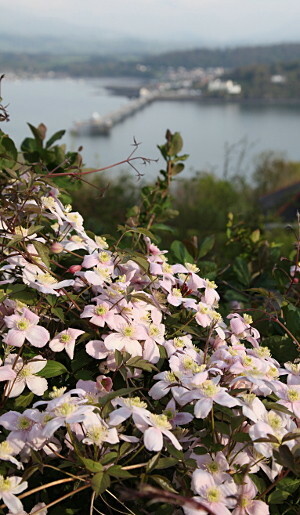 We set off up the drive, listening to birdsong and enjoying the fresh greens and lovely late spring flowers .Our woodland is still full of bluebells and pale pink Clematis Montana winds around an old fence. In our top field, the sheep and lambs stopped to watch us pass. Some of the lambs are still very young. 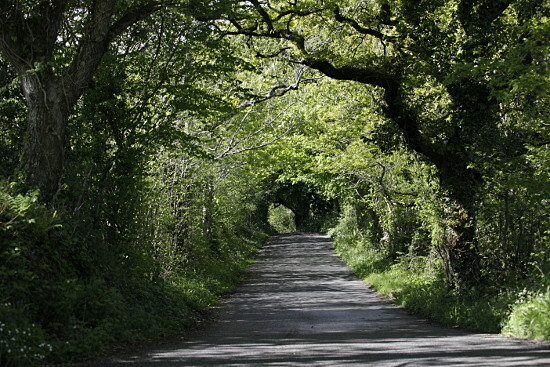 We strode out along the lovely winding lane, enjoying the beautiful day. Bird song was all around us and pheasants called from fields close by. In the hedgerows, flowers were blooming. We saw bluebells, cow parsley, vetch, May blossom, herb robert, red campion and many others whose names I don’t know. The trees were nearly all in full leaf and everywhere was busy with life. 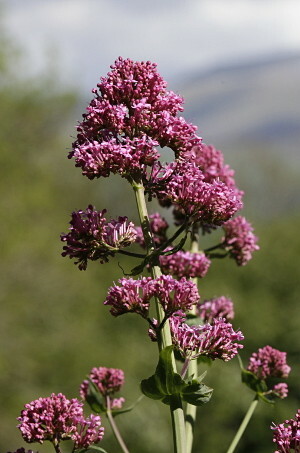 Lilac blossom filled the air with its delicate fragrance. At the crossroads we turned right, still on the coast path, to begin our decent towards Beaumaris – one of Anglesey’s jewels. There is a private lake, which was once a reservoir. It can be glimpsed through the trees and over stone walls as you walk past. The sunlight glinted on its surface. Nearby a lady stood in the middle of the road looking towards us. It turned out she was watching a brood of tiny ducklings crossing the lane to join their mother who called to them from the other side. We saw the last two make the crossing safely. They were so tiny and very vulnerable, but far too quick for Daf to catch them on camera! Further down the hill is Baron Hill Golf Course which welcomes everyone. We could see some of the players and hear their quiet voices, and the click of golf club hitting ball. All the time we were surrounded by busy nature and a sense of excitement and renewal. Down the lane an old stone and brick bridge crosses over the road. It was one of two bridges which carried the drive to Baron Hill, one of the biggest houses in the area. Unfortunately the house was damaged by fire, and for many years remained a ruin. In August 2008, plans were submitted to restore the house, and turn it into luxury apartments. We don’t know whether this work has been undertaken. Downhill from the bridge we saw the town of Beaumaris spread out before us. From this point, the coast path re-joins the shore into the town. Beaumaris is a small, pretty town steeped in history. As we reached the bottom of the hill, the waters of the Menai Strait twinkled in sunlight and the boats bobbed on their moorings. We walked along the shore, still on the Anglesey Coastal path, into the centre where the prettily coloured buildings seemed to welcome us. It was time for refreshment. There are many places in Beaumaris to eat and drink. We decided to try a new cafe/restaurant – an addition to Red Boat ice cream parlour. We enjoyed a gluten-free Dutch pancake. Before heading back home we wandered round Beaumaris. There’s a lot to see. A guest once described the town as being like Edinburgh rock, because of the colours of so many of the buildings. 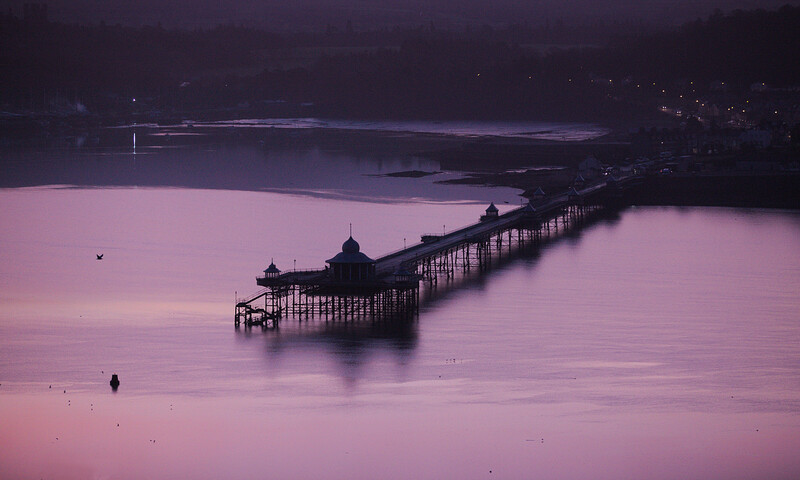 The pier is always fun, especially when families are there ‘crabbing’. The lifeboat station is at the root of the pier and we often watch the lifeboat, from Coed y Berclas, as it zips along the Menai Strait. 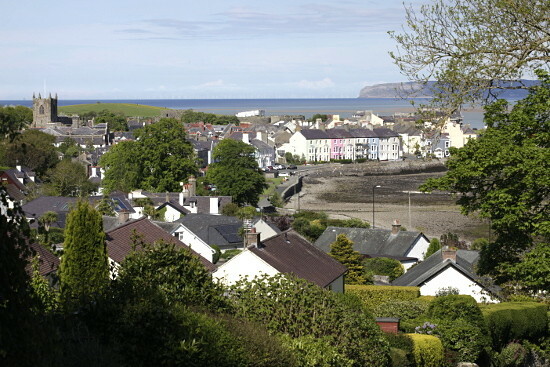 The town is in the perfect position between land and sea to guard the Menai Strait and keep a look out for danger. It was once the site of one of the courts of the Welsh princes. 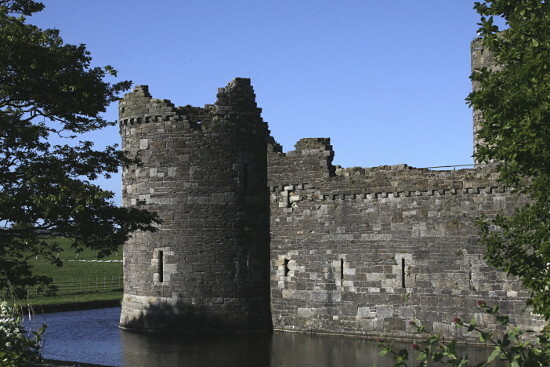 This is also why Beaumaris Castle was built for King Edward I. It was begun in 1295 as one of a series of castles built along the North Wales Coast to subdue the Welsh. However, it was never completed. The town grew up around the castle, so many of its buildings are very old. Now, it attracts visitors from all over the world, along with its sister castles at Caernarfon, Conwy, Fflint, Rhuddlan and Harlech. We love living at Coed y Berclas. Being able to walk straight onto the Anglesey Coastal Path from our top gate is one of the joys. The lane is delightful and the wildlife abundant.